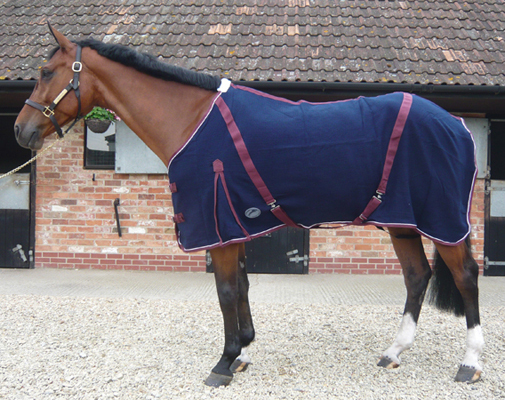 The JHL Waffle Weave Rug is a versatile horse rug that can be used as a cooler, travel or under rug. This waffle weave rug for horses features two webbing chest straps with buckles and low bias cross over surcingles. There is a full shoulder gusset, fleece wither protection and filet string on the JHL waffle weave rug. There are currently no questions for JHL Waffle Weave Rug - be the first to ask one!